My workshop. First off, I admit I am certainly not the neatest of handymen, nor among the best organized. This photo of my garage workshop reveals as much. It’s also evidence of the fact that I shun comprehensive, strategic planning that might otherwise result in solutions that prove smart over the long-term. Instead, I tend to jump into home projects willy-nilly, making series of one-off decisions that each seem perfect in the moment. That’s how I wound up cobbling together this nightmare of a home workshop – an amalgam of work tables of various sizes, shapes and styles. My first acquisition. 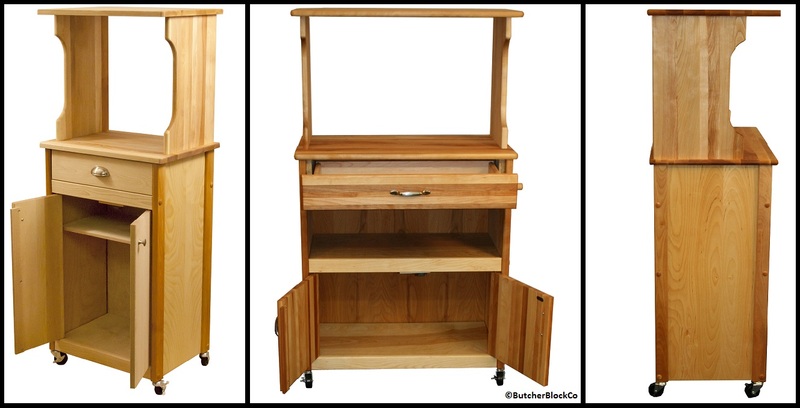 A versatile, Seville Classics mobile storage cabinet (pictured at left) was a sensible one. It provided then-adequate enclosed storage via a cabinet with an adjustable shelf plus four drawers that glide easily on ball bearings. The unit’s top is a ¾”-thick wood workbench with a smooth, hard finish (presumably polyurethane). At the time it seemed as though this workbench tool cart would satisfy all my needs for my lifetime. I was so young and naïve. Like most obsessed tinkerers, I was constantly discovering new tools and gadgets that I simply had to add to my workshop. One of these, a set of those; you get the picture. A pegboard with assorted hooks and holders made a good home for hand tools…for a while. It wasn’t long before my workbench on wheels was maxed out. Additions. Over time the projects I undertook expanded in scope, as did my collection of hand and power tools and all their various attachments. Pegboard soon covered the adjacent wall as well. I shopped around for workbenches but ultimately decided to build one myself. A fairly simple creation, it provided added open storage on a lower slatted wood shelf, plus a larger and sturdier work surface compared to that original tool cart. The work bench top is 1-1/2”-thick maple edge-grain butcher block with a natural oil finish and it fits the bill to a T. Still I remained on the prowl for more benchtop work space as well as enclosed storage space to satisfy my insatiable appetite for more and more guy stuff (reminiscent of Audrey II – the carnivorous plant in “Little Shop of Horrors” crying out, “Feed me, Seymour!”). So next, I repurposed a discarded desk with colorful metal-faced drawers. I make good use of the desk’s drawers, as well as its ¾”-thick laminated worktop. But still, something was missing from my little workshop of horrors. More butcher block.Then it hit me like a brick. The idea was to use the converted desk and narrow bookshelf situated to its right – on which I store still more tools and such – to support a massive butcher block that would become the literal cornerstone of my Frankenstein-like creation. It would span the corner gap between the storage cart on the left and the butcher block work table on the right. In this picture you can see the answer to my tool shop dreams (or little workshop nightmares?). It’s resting on the floor in front of the tool cart. It’s a 2-1/4-inch-thick commercial-grade blended maple butcher block made by industry leader John Boos & Co. in Central Illinois. The block is finished with Varnique – Boos’ own varnish-like blend that provides a protective shield and makes cleanup easy. Boos workbenches provide all the functionality and durability handypersons could want or need for their home workshops. This particular block started out 48 inches long and 34 inches wide. Custom cuts – one straight and one mitered – made it just the right shape to fit the corner and to maximize the amount of available benchtop workspace. Cooking in small spaces doesn’t have to be scary if you’re equipped with the right information! Just about all of us have had at least one small apartment in our days, so the stress is likely familiar, but Sarah has some great tips to help keep you happy while you work. Let’s see if she can squeeze us in and give us a lesson? Greetings, entertainers! I have designed the kitchen of my dreams multiple times, revising as my tastes change. It always has a dishwasher, lots of counter space, big, sunny windows, and a giant kitchen island. I have never had any of those things, but a girl can dream! Since I’m used to cooking in small spaces, I thought I’d share my tips today! It doesn’t take a gigantic, sunny kitchen to make food with big flavors. When you’re short on counter space, the first thing to do is dedicate space for cooking and prep. I have a beautiful wooden cutting board that I try to keep clear, since that’s where I chop vegetables. This has necessitated me prioritizing my countertop space, and has led to me keeping small appliances tucked away unless I’m actively using them. My stand mixer goes in the pantry, my food processor goes in a drawer, and my coffee bean grinder is stowed away, too. I also make sure that my cutting board is clean, because that removes another barrier to me getting down to business. My favorite recipes have fewer steps to prep, and with a small stove and sink, I have learned to love things I can make with one pan on the stove. These recipes usually involve browning meat, adding vegetables that cook quickly, and then adding liquids or tomato paste to make a sauce. After you’ve eaten and put leftovers away, you only have one pot to clean, so I’m done cleaning up before my hands get pruny. If you want more elements in your meal, roast vegetables in the oven while your main dish cooks on the stovetop. This gives you more flavors, and more crunch, without making a huge mess, or requiring super specific timing. The least fun part of cooking a great meal is cleaning up (obviously the most fun part is eating it!). When cooking in small spaces, dishes pile up more easily in the sink and stove. It’s easy to feel overwhelmed when it feels like the kitchen is full of dirty dishes. Commit to cleaning measuring cups as you use them, and clean knives or any prep dishes as your meal cooks. Try to get your pans clean just after they’ve cooled, so any residual gunk doesn’t get crusty, which means more scrubbing. All hail the slow cooker! Planning meals ahead of time has been proven to lower your grocery bills and reduce stress throughout the week. This can be as easy as planning to cook two big meals on Sunday afternoons so you’ll have leftovers all week, or investing in a big slow cooker for roasts, soups, and more! Slow cookers are a great solution for cooking in small spaces because you assemble and cook ingredients all in the same pot! So if you have a busy social life after work during the week, or are just too tired to chop veggies and make sure the chicken is done, try a slow cooker meal to have something to look forward to when you get home. If you have an ambitious cooking adventure in mind, set yourself up for success by planning ahead. If you want to make macarons, plan where the cookies will cool while you mix up the filling. Christmas cookies? Maybe set up a small card table for a decorating station so you have enough room for multiple batches to go into the oven, cool, and be ready for frosting! If you’re adjusting to a new small space, don’t feel discouraged or limited by having less counter space than the kitchen of your dreams. By making the most of the space you have, you’ll feel more organized and up for cooking in small spaces! Now that it’s spring and you are hopefully starting to defrost, it’s time to throw open the windows, air the place out, and get a fresh start! Getting the kitchen into tip-top shape is a great way to kick off the season. We’ve got plenty of space saving innovation packed into these clever kitchen carts! I’m going to start off with what will hopefully be the next addition to my own kitchen: a Microwave Cart! I will most likely end up with this little number form Catskill Craftsmen; it is the perfect size for my petite kitchen and will add some much-needed enclosed storage (keeping my new kittens out of my mixing bowls!) and allow me to bring the microwave down from on top of the fridge. Another favorite from Catskill is the Grand Island Wine Cart with Drop Leaf. This space saving cart features a deep drawer to store your tools, a 6-bottle wine rack, a towel bar, and a drop leaf that adds 10” of extra work space when you need it. Rolling in on locking casters, this handy cart doubles as a mobile wine and cheese party! If your space saving needs involve more spice bottles than wine bottles, we’ve got you covered there, too! Several options come with built-in spice racks to keep the flavor at your fingertips. With attached knife blocks, all of your tools can be right at hand. the perfect space saving solution for the serious baker or cook. This cart comes with a knife holder, towel peg, tool drawer, and drop leaf. The most impressive part, though, is the attached power strip. On one handy work station, you can prep all your ingredients to throw in your stand mixer, food processor, or blender! When you’re finished being an expert chef, tuck your appliances underneath on the lower shelf and roll the whole setup out of the way! Chris & Chris utilizes their Chop and Drop system to make food prep and cleanup a breeze! A small hole in the butcher block chopping surface allows you to slide your chopped produce or meat trimmings into a hidden stainless steel pan to keep your work area clutter free. This nifty little system is also great for collecting juices for gravy when you’re carving up your delicious roast! The Chop and Drop system is definitely a unique and incredibly useful feature, but what I really love is how much function they manage to squeeze into these carts! There are shelves, towel bars, spice racks, utensil hooks, drawers, built-in granite pastry slabs, and more. Everything you need to prep your meal from start to finish is right there in one multi-purpose cart! A post about space saving would never be complete without talking about the Oasis Concepts Flip & Fold carts, tables, and desks. The Flip & Fold system is truly remarkable. In just a few seconds you can go from having a full sized workstation to rolling your compacted cart into that little 6” gap next to the fridge. These carts come fully assembled and ready to use; all you have to do is unfold and get to work! Oasis Concepts doesn’t just focus on kitchen carts, either; they manufacture a full line of affordable dining tables and desks as well. I’m thinking this Cherry Red desk would be an awesome addition to my office for when I’m working on a project with my son. I have several friends and relatives who are into gaming, and one or two of these tables would be the perfect way to make space for having friends over – just unfold and throw the laptops down and you’re ready to go (please don’t actually throw anyone’s laptop – that is a real good way to lose friends). I find our lineup of space saving kitchen carts pretty impressive. What do you think? Do you have any helpful hints for those of us with small kitchens? We’d love to hear them! Get Organized and Stay That Way! Now that you’re used to the idea of it being 2014 (I’m just assuming you’re not still writing “2013” on everything like I am), it’s time to start making good on those resolutions! Now is a great time to get your kitchen organized in a way that makes sense for your life. While the aesthetic of an organized kitchen is highly desirable, don’t just focus on putting things away to make the space look nicer – the key to staying organized is to set up a system that is logical, one that will be easy to maintain and will help your kitchen be more functional. We’ve been keeping track of our top sellers and best storage solutions to help you get your kitchen in tip-top shape. Our best-selling butcher block table of the year is the John Boos Classic Country Work Table. This customizable table ranges in sizes from 36”x24” up to 60”x36”, comes in a variety of colors, and offers optional drawers, baskets, and shelves to meet your needs. This is a beautiful solution to the everyday cook’s organizational dilemmas. No wonder it was our top seller! If you love to bake as much as you love to cook, check out the Pro Chef Prep Station, which comes with a granite inset for rolling out dough. This unique work center comes with wire baskets for stowing produce or towels, a slatted shelf for your mixing bowls and canisters, and a side rack for spices and utensils. A stainless steel pan is placed under a cut-out in the butcher block surface to catch scraps, juices, and waste for easy clean-up. This versatile workstation also features a large utility drawer with built-in knife storage. Look at all that storage! Are you always trying out new recipes and staying on the cutting edge of technology? Well, John Boos has created the perfect addition for your kitchen: the iBlock. Available in Maple, Walnut, and Cherry, this handy little guy doubles as a cutting board and tablet holder. The iBlock comes with protective sleeves so you don’t get your tablet messy while you whisk and watch cooking shows at the same time! 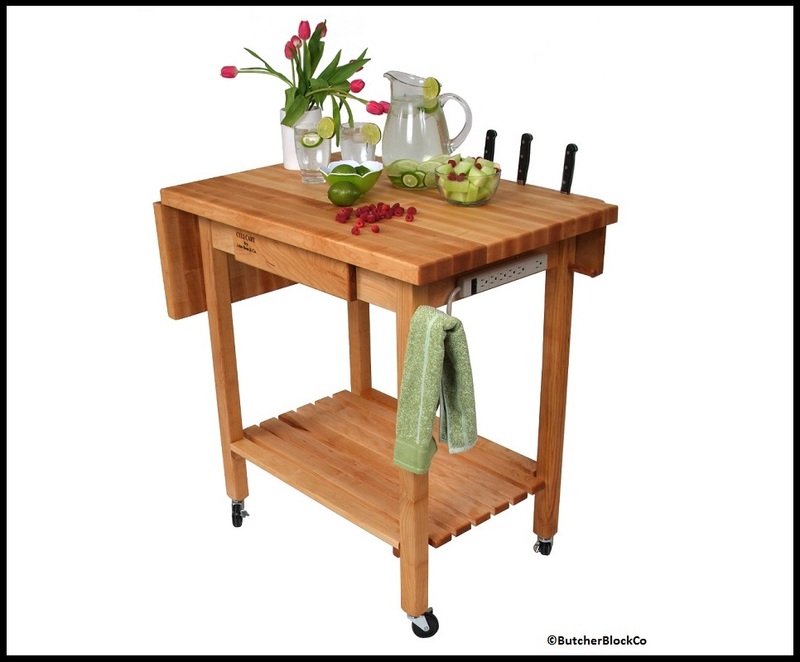 If entertaining or wine-and-cheese nights are more your style, Catskill Craftsmen has created the ultimate kitchen helper for you – the Portable Wine Island. This lovely cart can store 15 bottles of the good stuff and has a stemware rack for glasses up to 8” tall. This hardwood island also features an enclosed cabinet with an adjustable shelf, ample storage in a utility drawer, and two towel bars. The best part may just be the locking casters, though. You can prep all your hors d’oeuvres in the kitchen then roll the whole cart out for service in the dining room or on the patio. Now that we’ve introduced you to some of our most popular and helpful products, it’s time to get into gear and get your kitchen ready for a new year full of cooking, baking, experimenting, and entertaining! What has been the best addition to your kitchen? Do you have plans to get organized for the new year? Kitchen Organizing Tips for Fall Baking! Fall is here and it’s time to get ready for the baking season! I know I’m excited! This year I’m trying something new, though – I am reorganizing my kitchen for fall in the same vein in which I reorganize my wardrobe. Tank tops and salad spinners will be tucked away in favor of boots and bakeware. I have a whole hutch full of baking equipment, but it lives in my living room because my kitchen is tiny. I went on a kitchen organizing spree this Spring, but a lot of the equipment that is taking up prime real estate could be replaced with more seasonal items. So I am going to share with you some of the tips I’m trying to follow that I think will help you prepare for this delightful season, too! Designate a main workspace. Mine is my dream island (the one in the link is the one that lives in my head, not my kitchen…but some day she will be mine). It currently houses my knife block, cutting board, my overflow pots and pans that don’t fit on my pot rack, and two junk drawers (and a pile of mail…). Remove all non-essential items (especially mail) from this area. Think about your Fall cooking/baking style. Do you love making pies and tarts? Are you a huge fan of roasted root vegetables? Do stews and rustic breads show up on your dinner table at least once a week? Go through some of your favorite dishes in your head and make a list of your most common equipment. Figure out a game plan for this area with the above-mentioned list in mind. DON’T add anything back to this area before you have some type of plan. That just leads to clutter and dysfunction. Kitchen organizing isn’t just about making your kitchen look tidy – it’s about making your kitchen work for your unique style. For example, if you’re going to be using your food processor and stand mixer a lot more often, it would certainly make sense to have them out all the time (if you have room for that, of course). Likewise, this is probably a good time of year to have your canisters of flour and sugar within arm’s reach. A small wall-mount or magnetic spice rack could be a nice addition to hold your nutmeg and allspice for all those pumpkin pies. This is also a great place to keep a little stack of mise-en-place bowls. Trust me, you’ll use them. Slowly start bringing in your equipment and make adjustments to your game plan as necessary. I just realized my rolling pin has holes in the handles and I can hang it on my pot rack right above my island. I hadn’t noticed this before because it has been tucked away in a drawer in the hutch in my living room for the past nine months. Fortunately I had a wine bottle handy the last time I had to roll something out! Preheat your oven and get to work! Isn’t it nice to have your roasting pans and pastry brushes all within reach? Try some kitchen organizing by creating your unique “Fall Baking Zone”. It makes for fun and easy baking. What else do I need? What are you going to add to your Fall Zone? Do you have any great kitchen organizing tips for Fall? It’s time for spring cleaning! The kitchen is a great place to start! As the most used room in many homes, it is important to have a kitchen that is organized in a way that fits your needs. Next time you prepare a meal, take note of where you keep things, and what you reach for most often, and how you use your storage space. Reorganize to promote a good flow to your kitchen. Do you find yourself walking across the kitchen to get a knife, or digging through a drawer to find your favorite spatula? Your commonly used kitchen tools should be within reach of the areas in which you use them – knives next to the cutting board, utensils next to the stove, etc. One of my favorite additions has been to add a small magnetic spice rack on the side of my fridge, so I can keep my most-used spices right next to the stove (but I pretty much just throw things in the pan with no rhyme or reason…). Now that is a smart use of storage space! Trying to maximize storage space and organization in my own small kitchen, I have begun to understand the importance of “found space.” See, I have very little cabinet space, and you’ll remember my struggle with tripping over pans on my kitchen floor. I have a fairly big butcher block table with two drawers and a shelf, but it was a cluttered mess and I couldn’t accept that there was so much open space above the shelf (I can only stack my pans so high!). My solution was to add another shelf – it seems so obvious now, but for some reason it has taken me years to notice the potential in that big open storage space! I also added a pot rack above it, and have now turned an empty wall into functional storage space. (Can’t put holes in your walls? Think about a table/pot rack combo like this) When shopping for storage solutions in your kitchen, take into consideration how to best maximize the footprint of each item you choose – adding shelving, cabinets, or a pot rack will create extra storage space on a piece that takes up the same amount of space. Hide it when you don’t need it. If you just need some extra workspace from time to time, I highly recommend a folding kitchen cart. The handy wheels make it easy to get your prep done in the kitchen and then roll your cart out to your party for serving. These fabulous options are easily compacted into a slim little number that will slide into your pantry or that storage space next to the refrigerator! Seriously, how cool is that folding cart shown in the header?! Speaking of that storage space next to the refrigerator, have you seen these awesome DIY pull-out shelves floating around on Pinterest? Talk about found space! I am cooking up plans to build something similar to this in the very near future! Have you gotten creative with your kitchen storage space? We would love to hear your ideas!